Click image to go to the web site and play MapDive. Maps don’t have to simply provide us with reference information or a way to understand the world. They can simply just be art or provide a vehicle for entertainment. 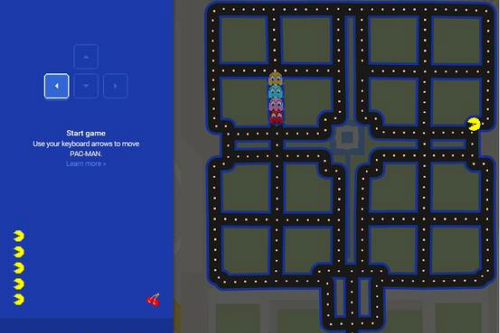 Here, Instrument showcase the Google Maps API and capabilities of the Chrome browser in creating an interactive game. It’s simple and effective. 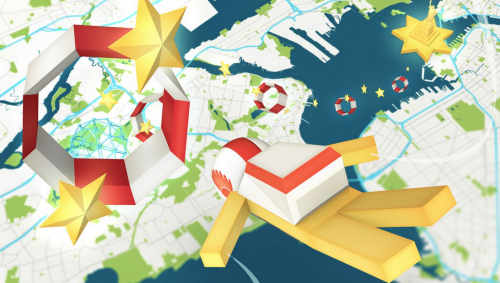 Google’s map, itself, provides a bright and well crafted product suited to the screen. The player controls Google’s Peg Man (from the Streetview product) in skydiving gear as he hurtles towards earth (the map!) and attempts to navigate to a particular location (e.g. Statue of Liberty). You have to control the skydive through hoops and collect objects along the way but what makes the game so well produced is the way the map sits in the view, out of focus until you get closer to its surface. As you end your successful dive the fireworks begin. While you can play the game in the browser, the use of Google’s Liquid Galaxy shows how maps can provide a platform for an installation where players can navigate through motion-sensed gestures. There’s a highly complex set of technologies that work together to provide this capability and make the game play and experience so smooth and enjoyable. This mirrors the map itself – a lot of great work is required to make a product perform well. We include Mapdive here because it’s a well designed piece of work that has a map as the central basis of the work. Instrument did not just rely on Google’s default map design though, they showcase a variety of styles by re-styling the base map to correspond to various climates. It’s also just fun and cartography can just be fun! Plenty more details and images at the Instrument web site here.